Here are 5 Free Browsers for Kids that brings in all best fun websites and protect children from any undesirable content found over the Internet, basically let kids have a safe internet browsing. These browsers enable children to explore different areas such as Music, Games, Songs, Drawing, Stories and more, teach children in a play way method. If you just let your kids use any of these browsers, you can be assured that they are not being exposed to any dangers of internet, and you won’t need to keep an eye on them with a free parental control software. Lets get into the details of each Kids browser. 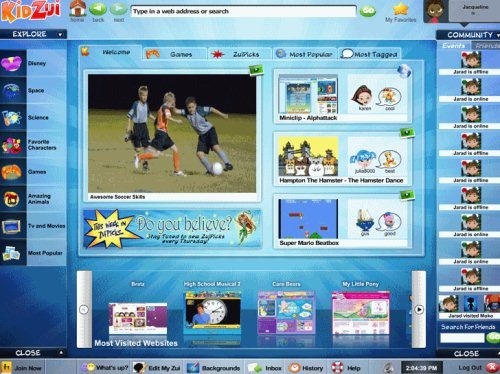 Kidoz is a free web browser for kids that brings out most relevant kid’s content that is available over the internet. 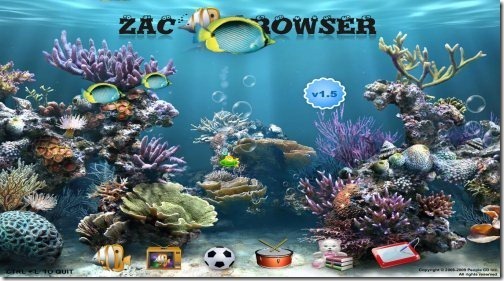 The browser comprises of fun games, educational tools, safe media player, advanced security and much more. 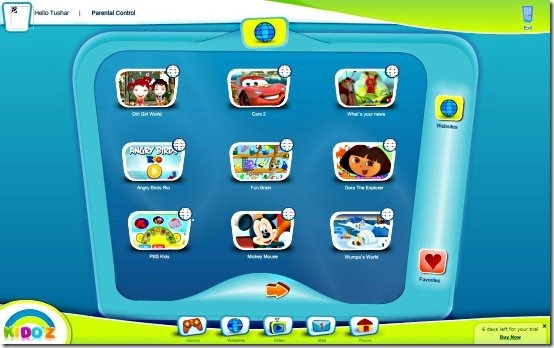 All the Browser icons are easy to operate and the games are educational, teach the children in a play way method. Not only is Kidoz a Safe Browser but very educational as well. This free safe browser does not carry any content that is unsuitable to kids. All the browser tools have been created after taking kids into consideration. Kidoz provides a seven-day free trial. You can purchase Kidoz online if you like the Browser. Read more about Kidoz or try free here. 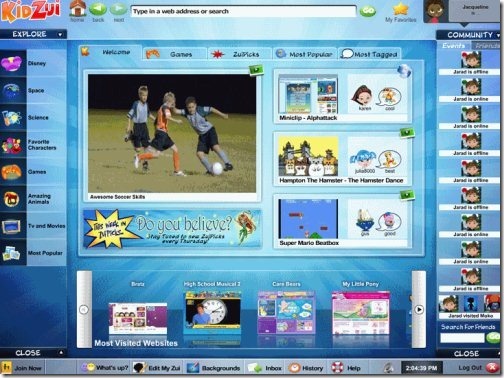 Kidzui is another free Browser for kids that is specially made for kids of ages 13 and below. Children can explore various different areas within Kidzui, there is a list of websites, games, and videos that are safe for kids. These websites/games/videos have been approved by parents like you. Kids can use a separate search engine especially developed for kids within Kidzui. The searches bring out all relevant content available over the internet. When kids type some search phrase, Kidzui shows the results that are approved results only. 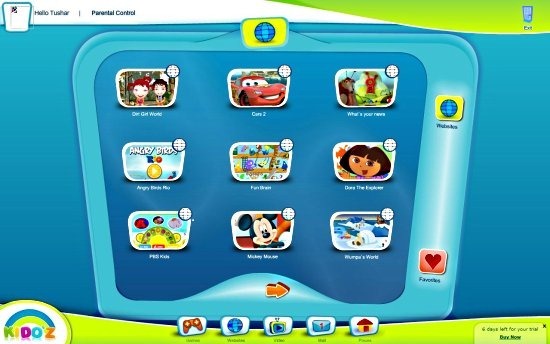 In addition, this safe internet browsing also provides its own social networking community for kids, called MykidZui. Each kid can create their page. Kids can add their friends, see when their friends come online, and share the tagged content with them. Read more about Kidzui or try free here. 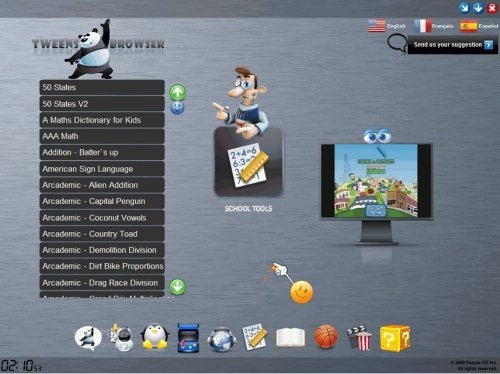 Tweens Browser is yet another free web browser for kids especially made for children between 7 and 12 years of age. This free and safe browser provides a distilled browsing environment including websites that are suitable to kids. There are no ads or pop ups, and each website in this kids browser is manually approved to be suitable to kids. Tweens Browser is a good utility browser for kids. If you do not want your kids to be exposed to adult or malicious websites available over the internet, then Tweens Browser is a must on your PC. It provides all the content that is suitable for kids in that age group of 7 to 12. 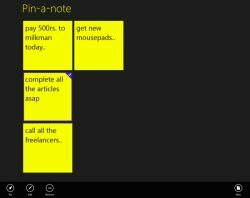 Read more about Tweens Browser or try free here. ZAC Browser is one more powerful browser for kids developed specifically for children with autism and other brain disorders. 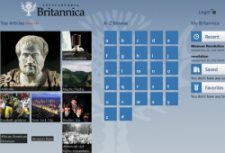 This free kids browser enables children to access limited and specifically designed content over the Internet. Children can explore six different areas within ZAC Browser- Television, Music, Games, Songs, Drawing, and Interactive Stories. Each of this area can further be explored to browse many more options. 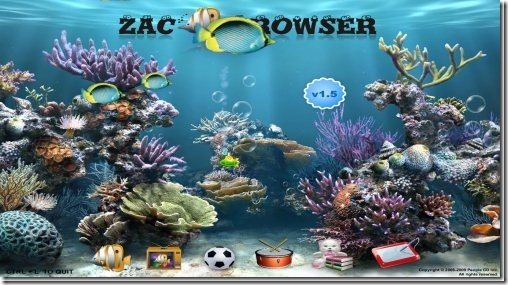 With ZAC Browser, children can access all educational activities while having fun, basically learn in a play way technique. Read more about ZAC Browser or try free here. Ending my short post with this last but of course not the least browser for kids, KIDZCD. This free kids browser has been developed especially for teenagers and children. There are four main browsers that can be downloaded according to the age of a kid. For example, there is a separate browser for 0-6 yrs. old group, the other one for 7-12 yrs. group and the like. All the Browser icons are easy to operate, help children to learn in a play way method. Children can explore four different areas within KIDZCD – Games, Stories, Television and Music. Each of these areas can further be explored to browse many more options. A must for all children and teenagers. KIDZCD is very much similar to ZAC Browser, of course had to be since the developers are from the same family. Go ahead and Download KIDZCD free. !